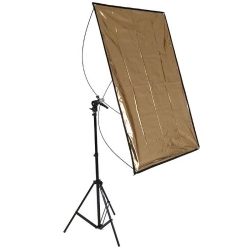 With its two sides, the walimex Reflector Panel enables you to produce either warm tones (gold) or cool light (silver) depending on what is needed. Thanks to the easy assembly, the panel is ideally suitable for mobile use and is easy to transport. Using the swivel joint you can adjust the direction (vertically or horizontally) as well as the tilt, individually or steplessly and in doing so always perfectly adapt to the existing conditions. 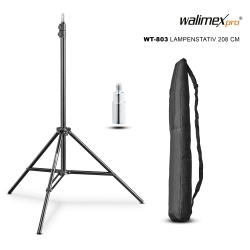 The walimex WT-803 Lamp Stand 200cm is ideal for beginners in the studio photography. The excellently processed stand can be used portably and flexibly with a net weight of less than 1kg and a transport size of approx. 71cm. 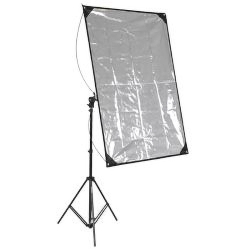 You can use studio flashguns or reflectors up to a weight of approx. 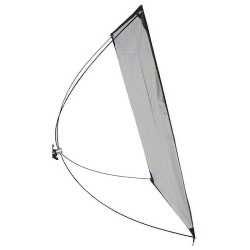 2.5kg on this stand. 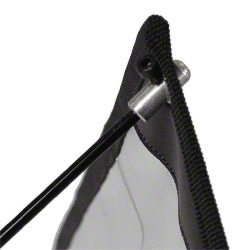 With the standard spigot connection 5/8 inch and 1/4 und 3/8 inch thread the lamp tripod is suitable for studio flashguns and lights.